Bathurst Remembers’ Project grew out of a combined filmmakers and local government initiative to preserve historical films and videos that had been shot on Bathurst and surrounds especially over the past four decades. During this period Bathurst had been fortunate to have a government Media Unit which circulated all over the State producing a weekly television program and resources on great things happening in schools, education and communities. When the government closed the Unit in 1996 there was strong agitation that the master tapes should not be lost or destroyed. From negotiations with the Department of Education , local MP’s and Bathurst Regional Council, Bruce was successful in having the materials stored in the Bathurst Region Library for restoration purposes. Bruce had been doing extensive research into the viability of storing materials on DVD and authoring them into Interactives. With the growth of his production house AVAMS and the continued functioning of CARP Inc. the stage was set to begin a restoration program in 2001. By 2005 a number of programs had been restored and a special promo film prepared outlining the potential of the project. The time was right to launch the Project at the Bathurst Metro Cinemas and invite the public to attend. It was a most successful launch and also brought together Schools, Charles Sturt Uni Communication Students and TAFE Media Students. The occasion was also filmed by media students and made into an introductory DVD on the project. Whilst it's a basic coverage, it’s certainly worth looking at by all those interested in filmmaking, education and history. By mid 2010 ninety DVD’s have been produced. As well as restoration of educational programs they also contain records of recent community and educational events re Bathurst and surrounds including, ‘Bandtown’ prepares for the 2000 Olympics’, ‘Centenary of Federation’, ‘Chifley and the Chifley Engine’, Bathurst Tourism, Motor Racing, community and cultural activities. 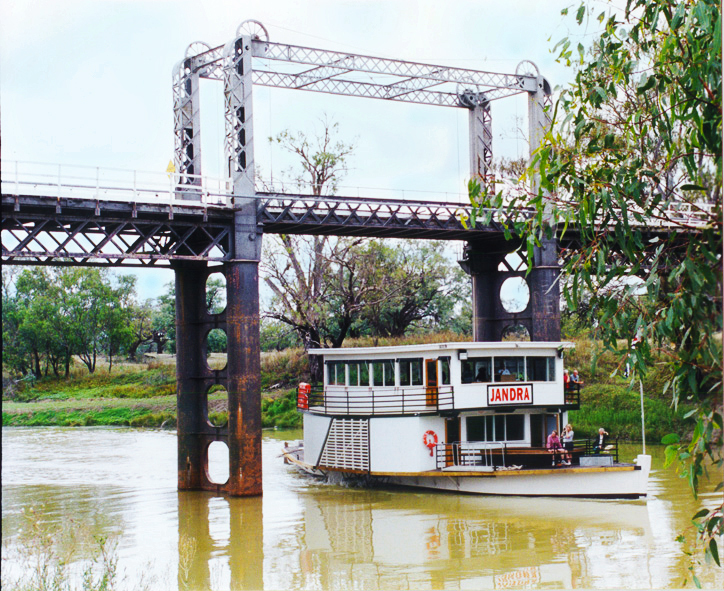 The notable and valuable restorations are ‘Paddlewheelers and Rivermen’; Bicentenary ‘Women of the West’, ‘Bathurst in the Eighties’, ‘People and Times Past’; ‘Aboriginal Heritage’, ‘International Year of Peace’ and how it was commemorated through western and southern NSW; ‘Education Week Specials’ featuring education highlights in schools over a period of a year. Extending the project much further than Bathurst is our aim because the master collections of both the Media Unit and CARP cover most of NSW. Thus the series can for example, become Cowra Remembers, Broken Hill Remembers, Tibooburra Remembers etc. Another exciting initiative is linking our project with the Bathurst Community Website, since some of the web technical and educational experts like Waifung Ng have been helping CARP and AVAMS to get their websites operational and investigating streaming selected community education and filmmaking programs to the Internet thus providing the potential of a worldwide audience. At the time of launching this new Website (October 2014) we already have a You Tube portal operating under the heading ‘Bathurst Remembers’ You Tube. It contains not only condensed features from our Remembers Productions but also many other titles freely contributed on a worldwide basis. Please feel welcome to upload any relevant materials you may have on Bathurst. Note however, items on this site will not be considered as entries in the new ‘Bathurst Remembers 200years’ competition. These must be loaded onto the channel set up specifically for this purpose. Se the competition tab for more details.